A while back, I showed you the back of a quilt I had been working on, and said I’d show you the front when I could (in this post here). Well, the cat’s been out of the bag for a couple months, but I never took the time to write anything up till now! This quilt is called Vines and Valleys, and I quilted it for Victoria Findlay Wolfe. 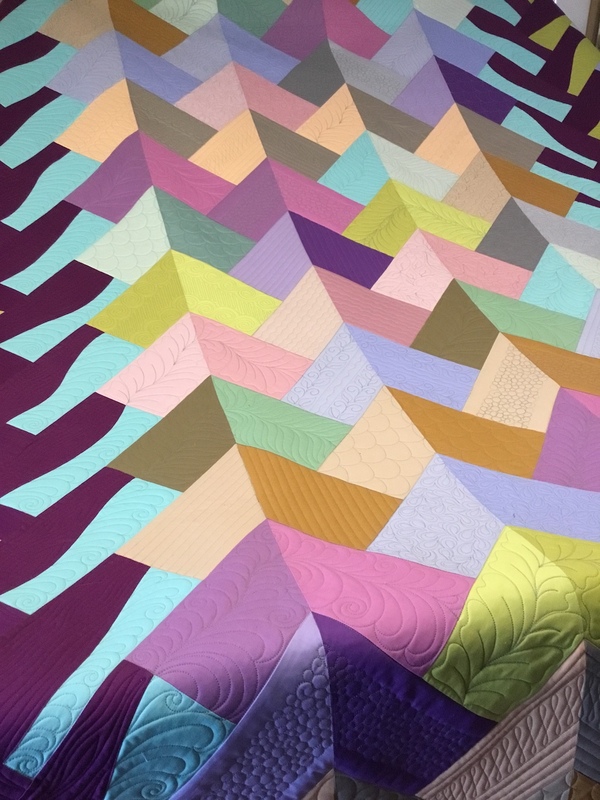 It’s a herringbone quilt, in the style of those from her new book, Modern Quilt Magic, and it’s also a fabulous study in solids. She has the individual pattern available for this quilt. 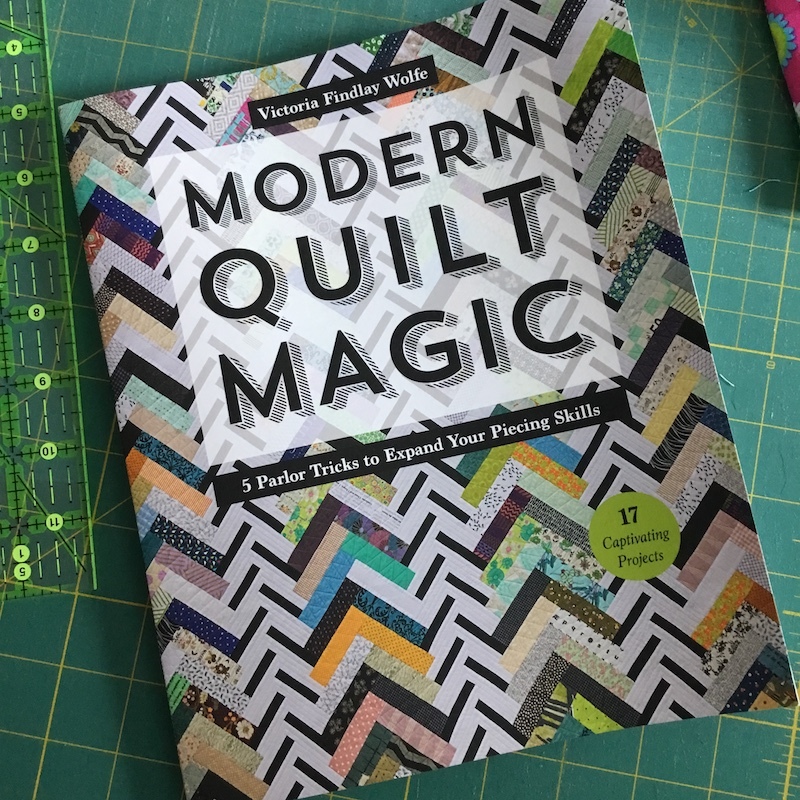 Or you can pick up the book, and have patterns for LOTS of other versions of herringbone quilts, too (just sayin’)! 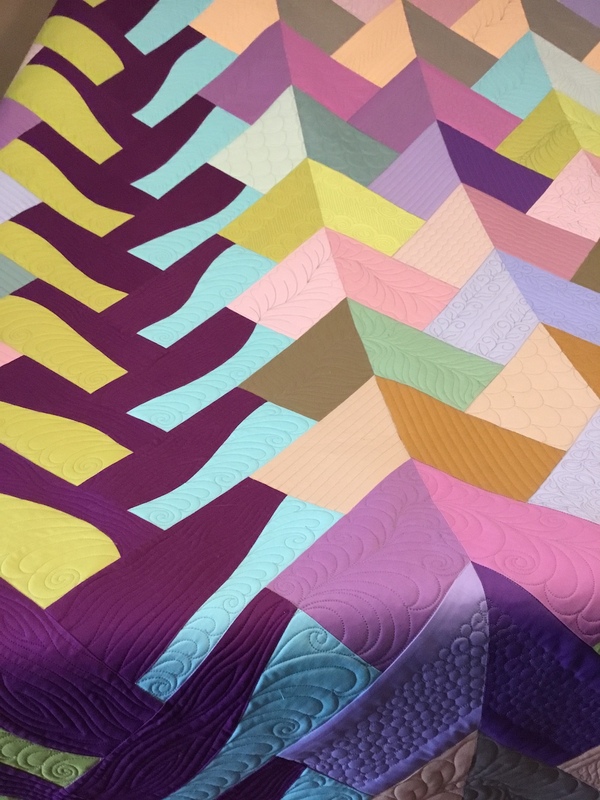 Correction: Victoria had to point out to me that Vines and Valleys is a braid quilt, not a true herringbone quilt, which only means that it’s even easier than a herringbone, so now you really have no excuse not to try it! The solids she used in the quilt are all RJR Cotton Supreme Solids, and Victoria also has kits available for this quilt with all the same fabrics she used. You can get the pattern or the kit HERE. And now I can show you all the quilting I did on it, so prepare for lots of photos . . .
Take a look at these close-ups I took while it was on the frame. 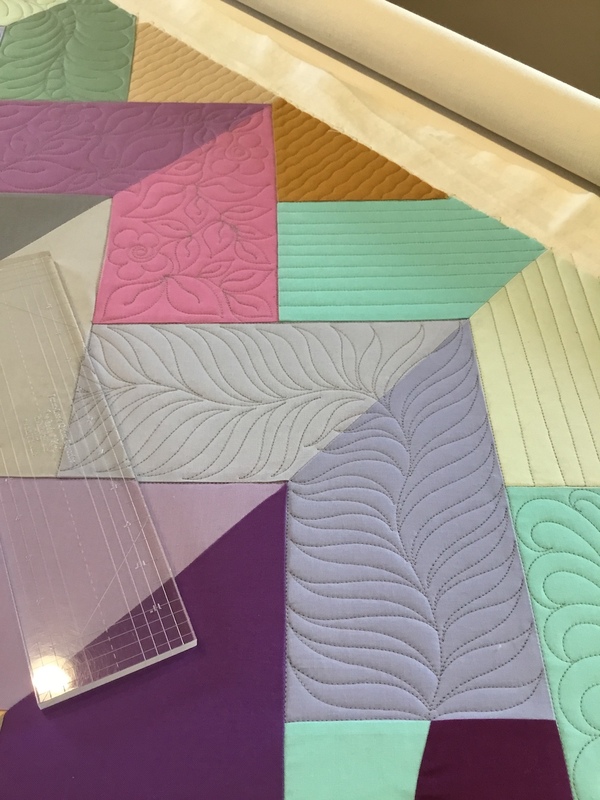 Maybe these will give you some ideas for quilting designs on your own quilts? 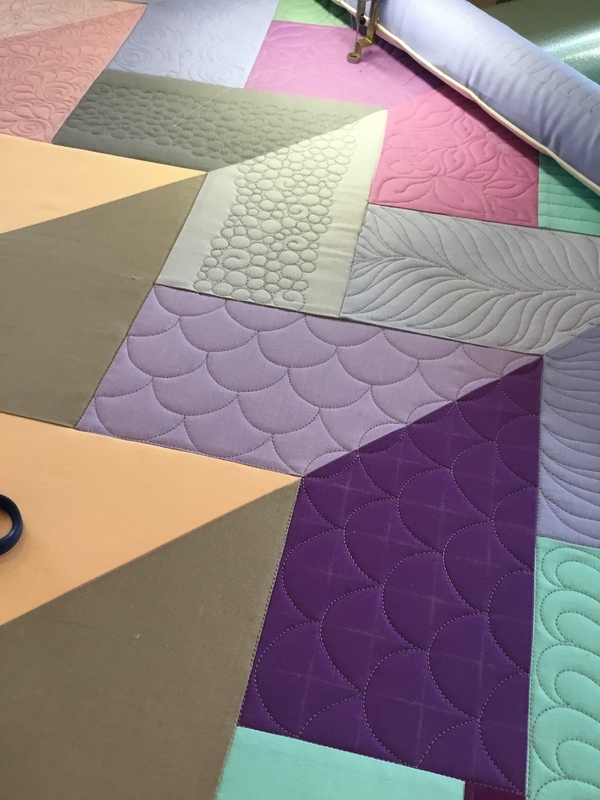 My hope is that it inspires you to get creative with your own machine quilting. Don’t be afraid to try something new. 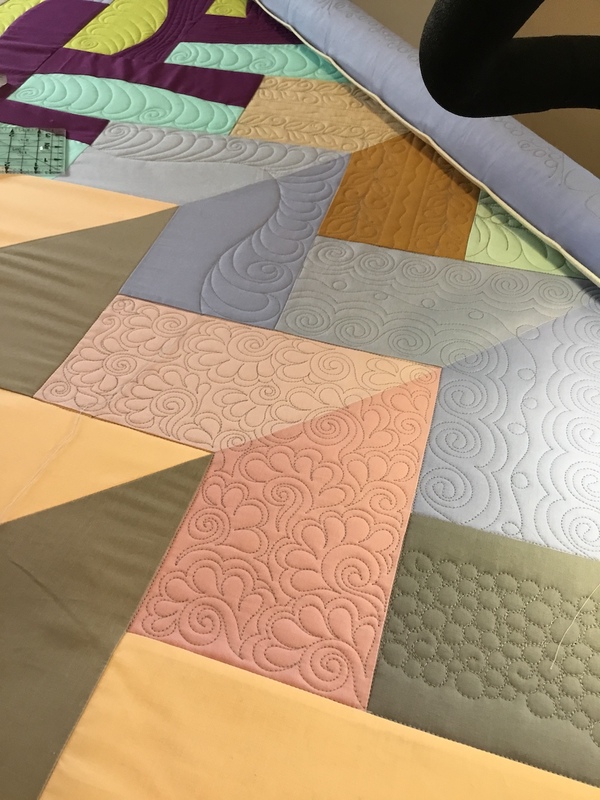 Since I quilted different designs in different (small) areas, I could try a design out to see how it was going to look, but I didn’t have to do it on the entire quilt! 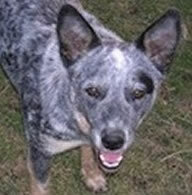 So if I didn’t like it, or it was too tedious, it was over quickly, and I could move on — haha! 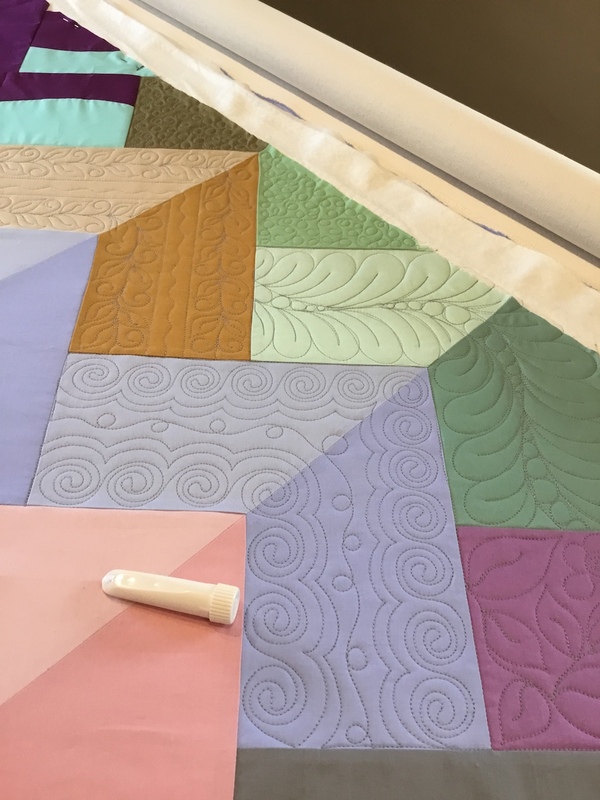 • The finished quilt measures 77″ x 91″. 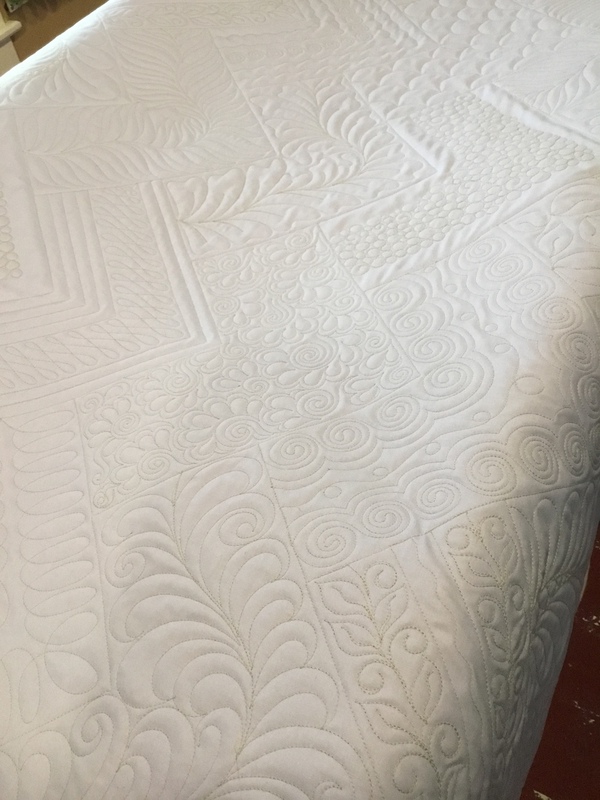 • I used Quilter’s Dream Cotton Select batting inside. • The backing is an RJR Cotton Supreme Solid in a blue color (altho it looks white in one photo and purple in the rest of them — weird). 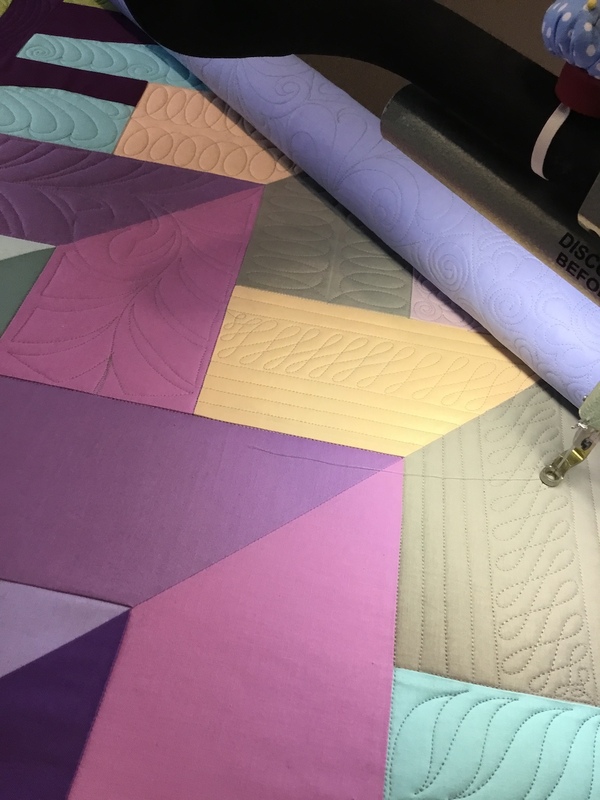 • I used Superior OMNI thread in Medium Gray on the main part of the quilt, and Verbena on the dark purple parts. Wow, that is so amazing, and so inspirational! Thank you so much for sharing your talent and artwork with us! Wonderful work, Shelly! Great inspiration. I’m sure Victoria loves it! 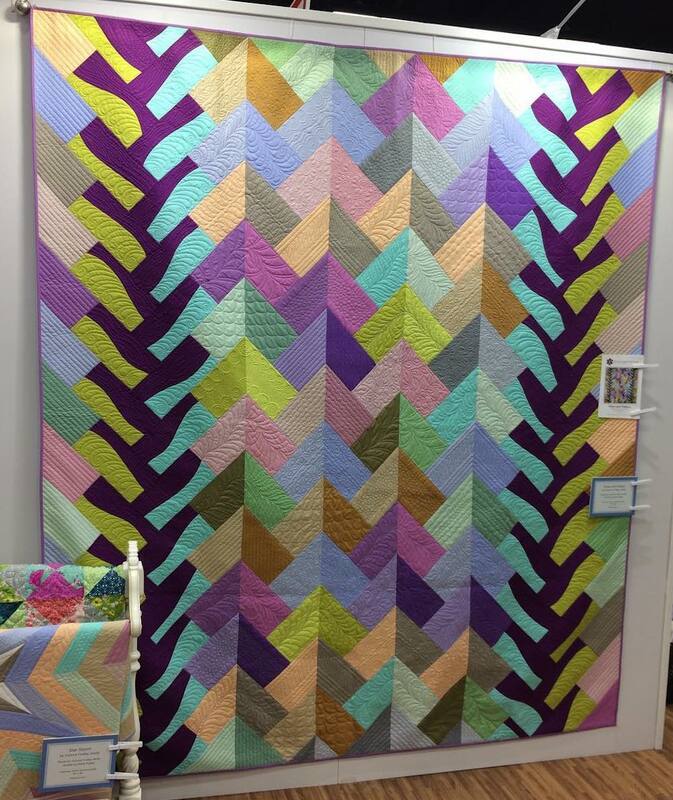 Wow – that is some amazing Quilting Shelly! The quilt is a perfect “canvas” for your art work. Stunning collaboration! 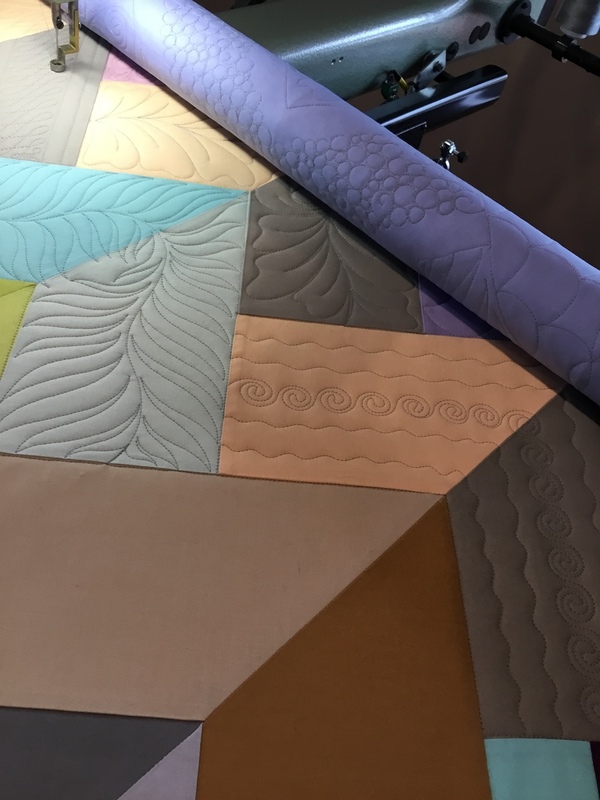 I love the way you quilted 90° 2-color sections, mixing up hard angle turns with softer ones. Just a feast for the eyes! 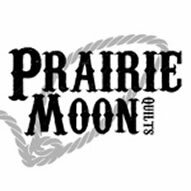 I like the pattern, but having seen your quilting on it, I’d be hard pressed to come up with a quilting plan as satisfying. Thanks for sharing! Truly amazing quilting!!!! Thanks for sharing !! I hardly know what to say about the quilting. One more step into the world of exquisite detail and inspired patterns. Am I ever lucky to be inspired by the quilters you know and work with closely! Every time I remember what I thought when I first got to know you, I am amazed at what has actually come into my life. And yours, too. 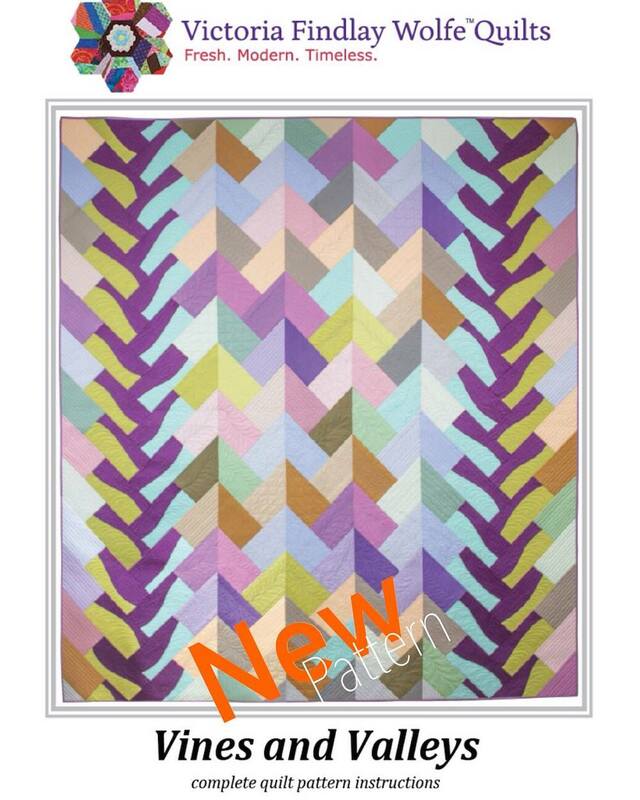 Your quilting takes this quilt from very nice to amazing! Sometimes the quilters don’t get the credit they deserve. I really, really love your quilting. 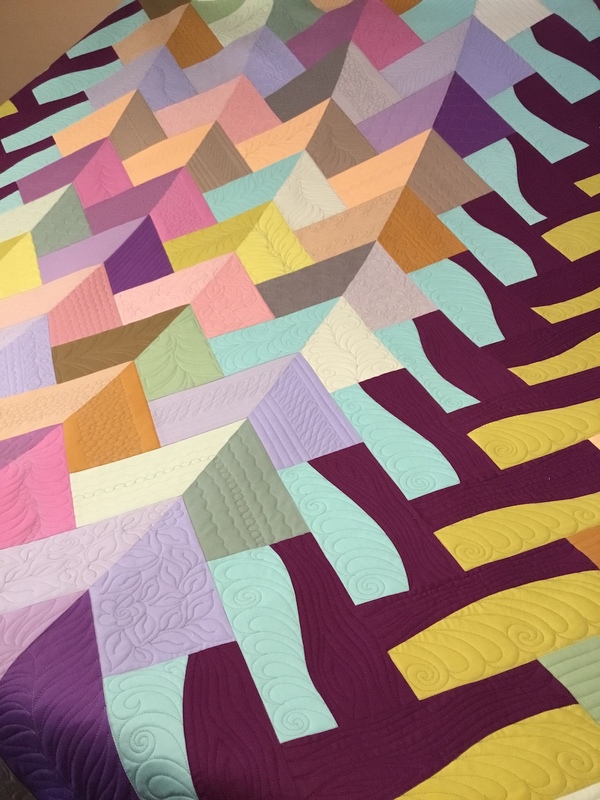 Your work takes this quilt to an entirely different level. 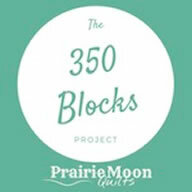 Thank you so much for all the close ups of your quilting. It is like having a notebook of designs to try. You’re a very talented lady and I’m so glad I found your website. Thank you again. Wow, the quilting is exquisite. I’ll never know how you do it!!!? 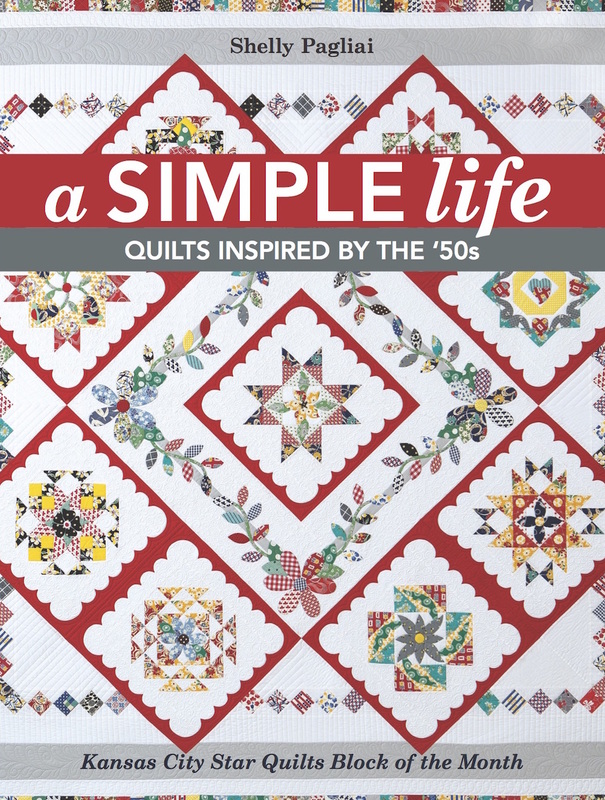 Love your quilting on this–it really enhances the design! That is beautiful work. WOW is all I can say. I want to grow up to be like you. Beautiful,beautiful!!!!! Shelly you creativity & inspiration is truly motivating. Thank you for sharing! Thanks for all the pictures! 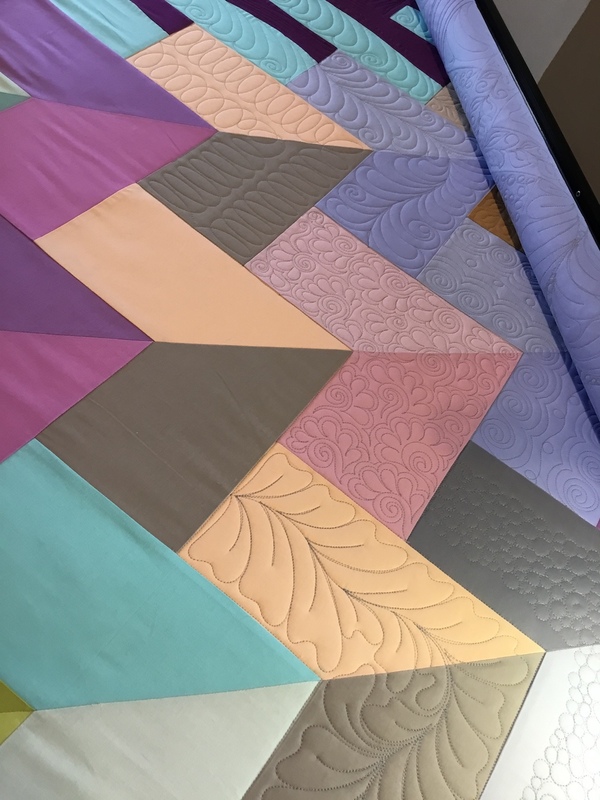 I’m always stumped at how to quilt things and can’t come up with many ideas. You do a marvelous job!